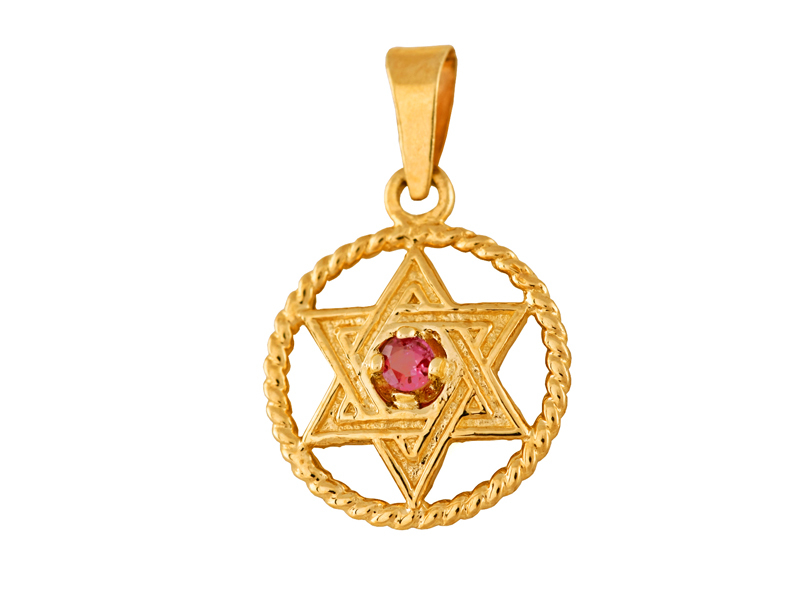 This pendant is a magnificent 14K Gold medallion with the Star of David in its center. Embellished with a 2 MM genuine ruby, this pendant is a real beauty! A fantastic gift idea for that special someone in your life! Available in both yellow and white gold.